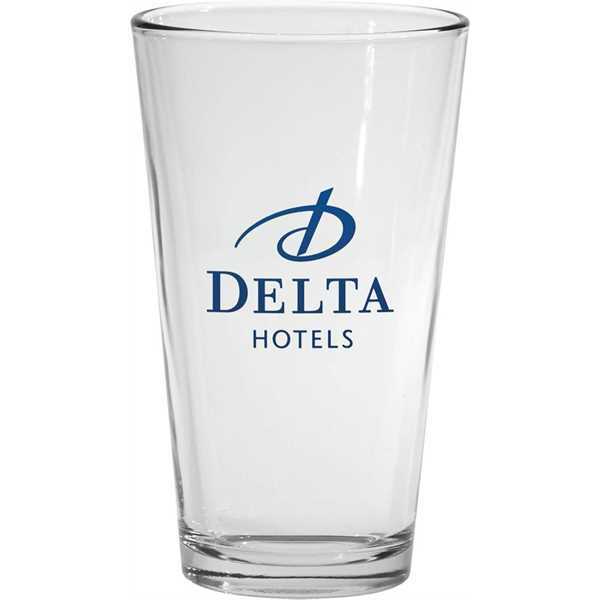 Imprint Method: Direct Screen - Drink your fill with our promotional Pint Glass. Sip on 16 oz. of suds from a glass wrapped in your bold design thanks to the Jet-Directt™sidewall and bottom sham (additional costs apply). You also get imprinting options like direct screen and deep etch for a complete custom look that you can put to work for you. At 5.75" high this glass is easy to clean and store. You have so many ways to put your stamp on a fun day in a big way. Why wouldn't you take advantage? Add this promo to your gift and giveaway lineup today!